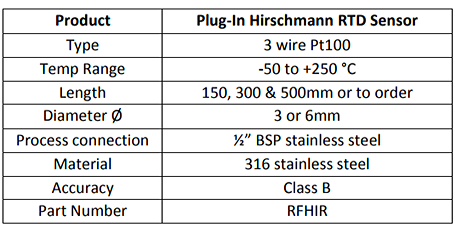 Resistance thermometer (Pt100) with process fitting and industry standard DIN style Hirschmann connection. 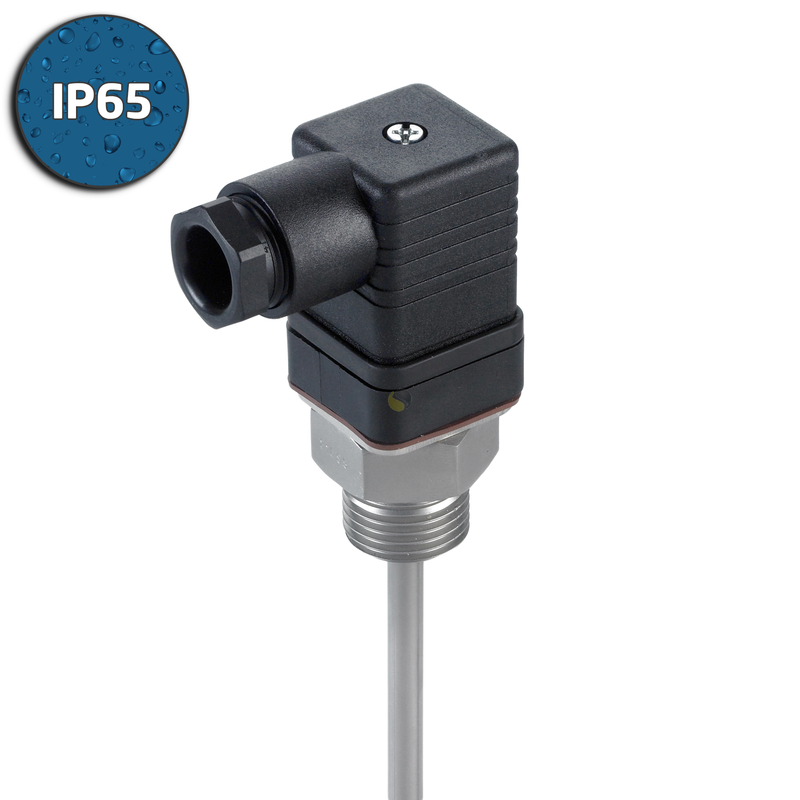 A 3-wire, class B Pt100 element housed in a 3 or 6mm diameter rigid stem stainless steel sheath, available in standard lengths of 150, 300 or 500mm long. 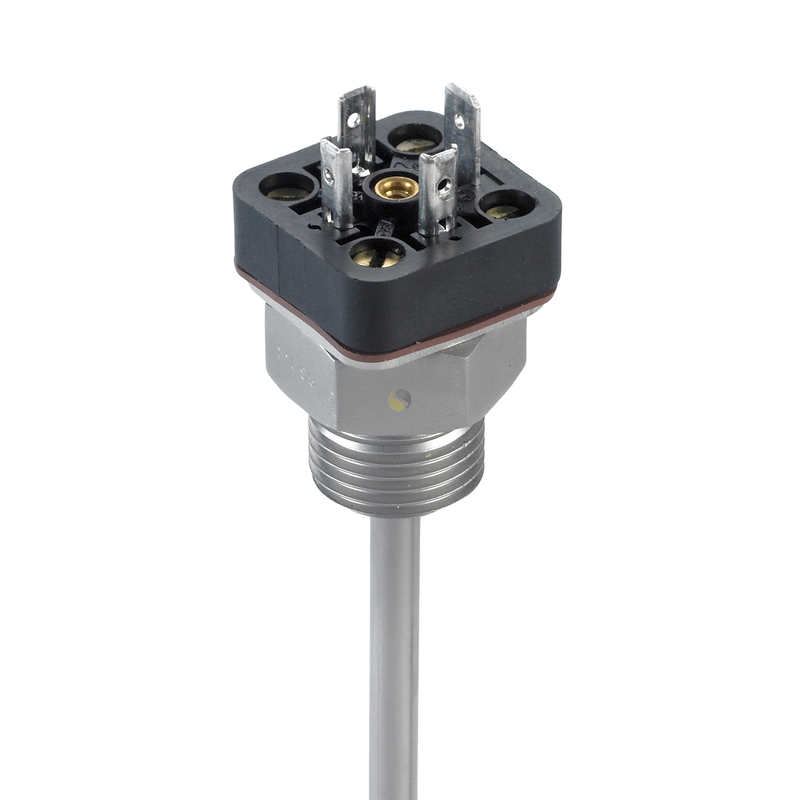 The RTD has a ½” BSP process connection and a DIN style Hirschmann connector for easy installation and replacement whilst maintaining reliability. The removable connector cable socket is IP65 rated and has a central fixing screw complete with PG7 cable gland suitable for 4.5 to 6mm diameter instrument wires.